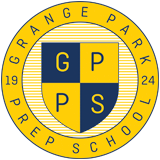 GPPS has a wide range of extra-curricular clubs which rotate on a termly basis. Some clubs are delivered by external professionals with an additional charge, these are just some of the companies that work with us here at GPPS. LAMDA (London Academy of Music and Dramatic Arts) lessons are delivered at lunchtime or after school on Monday. Chess coaching is offered after school on Tuesday. Judo coaching is offered before school on Monday. Sports clubs, Spy Club, Adventure Club and holiday camps.